Why has it taken me so long to make cardamom buns? 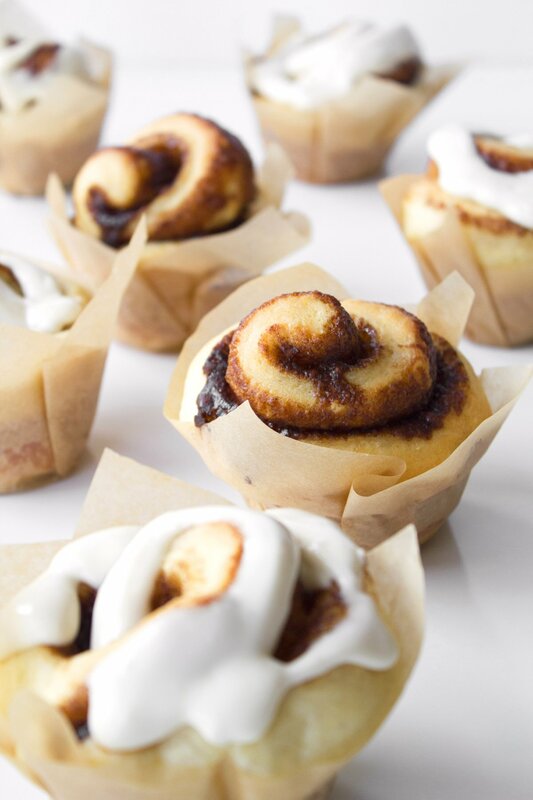 For anyone who loves cinnamon rolls, cardamom buns are similar, but have a crunchy, caramelized exterior from melted butter and sugar, while maintaining a soft and fluffy interior. These are subtly sweetened and have a delicious blend of warm spices, which pairs just perfectly with a hot cup of coffee or tea, I might add. They’re seriously my new favorite thing and I just can’t seem to stop from making batch after batch of these things. It doesn’t help that my family loves them too and eats them up before I’ve had my fair share. I wish I had a secret kitchen where I could make secret treats that I could enjoy all to myself. Ugh, I need a secret lair or something. Like Batman, but instead of a dingy cave, it’d be a state-of-the-art kitchen. Yeah, I like it already! That would make a better comic book story too—”Mom who sneaks away, not to save the day, but her sanity and, let’s not forget, her sweet tooth! I know, I’m a weirdo who sits around thinking of secret kitchens and how to hide food from the kids. 🤦🏻‍♀️ Just make these cardamom buns, okay? Then maybe you’ll see why I don’t want to share! 😜 Enjoy! 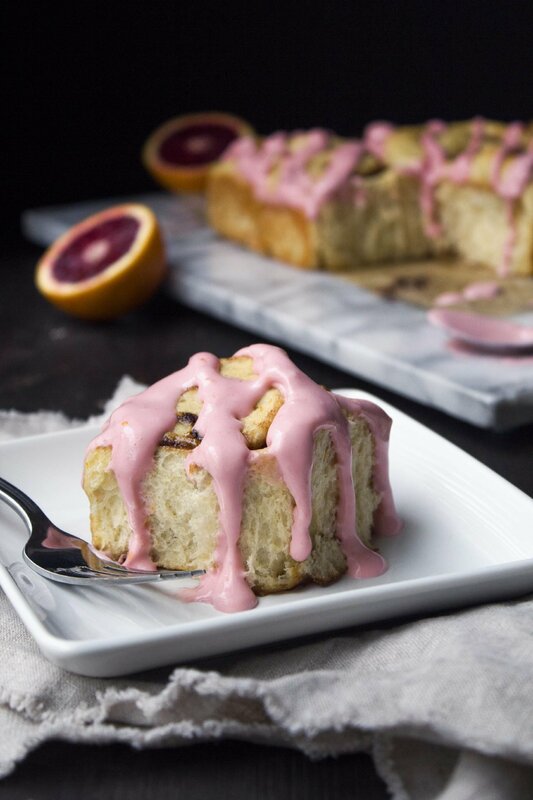 These cardamom buns are free of dairy, eggs, and refined sugar. They're soft, delicious, and the perfect treat to enjoy with coffee or tea! Place 2 cups flour (I used all-purpose einkorn flour, but spelt or whole wheat will also work. You can also use all unbleached all-purpose if you'd like), yeast, salt, and cardamom in a large mixing bowl. Stir together to combine. Pour in warm water, milk, oil, and maple syrup or other sweetener of choice. Mix together until smooth. Slowly stir in all-purpose flour, a little at a time, just until dough is soft. Careful not to add too much flour or rolls will be dry and hard. Knead for a few minutes, until dough is smooth and elastic. Cover with a clean cloth and let rest for 10 minutes. Meanwhile, mix together softened butter, coconut sugar, cinnamon, and cardamom until well blended. Set aside while rolling out dough. Roll out dough into a large thin rectangle. Spread butter mixture evenly over dough. Fold dough into thirds, like a letter, and gently pinch or roll to seal edges. Take one strip and carefully twist 1–3 times. Hold one end of the twisted dough on the counter and gently wrap the other end around in a circle, tucking the end under the bun. Place bun on a parchment paper lined baking sheet and repeat with remaining strips. Be sure to place them a few inches apart so they have room to rise. Brush buns with almond milk and sprinkle with chopped almonds. Cover baking sheets with a cloth and let rise in a warm place 20–30 minutes. While buns are rising, preheat oven to 350ºF. After rolls have risen, place baking sheets into the oven and bake for 20–25 minutes, until golden brown. Brush warm buns with maple syrup and serve. Makes 10–12 buns. Thank you for this! It sounds amazing! I’m wondering if I can try making it with regular yeast instead of instant (since that is what I have on hand), and maybe just adding in an initial rise? Have you tried it this way? Hi Renee, you can certainly use regular yeast, but yes, you will have to add in the initial rise. Please let me know how it turns out for you! Enjoy!! Can I use gluten free flour instead of regular flour? Such beautiful buns, I love the twists! WOW these buns look amazing!!! Wouldn’t believe it’s vegan ♥ Definitely have to try it soon! These look really yummy. Also, your video and photo quality and layout are on point. Great job! These look super delicious. I just discovered the flavor of cardamom and I love it. I will have to make these really soon for my family. This looks so delish!!! Anything with Cinnamon I’m all in!!!! Definitely pinning for later! Thanks for the encouragement and for pinning Marissa! 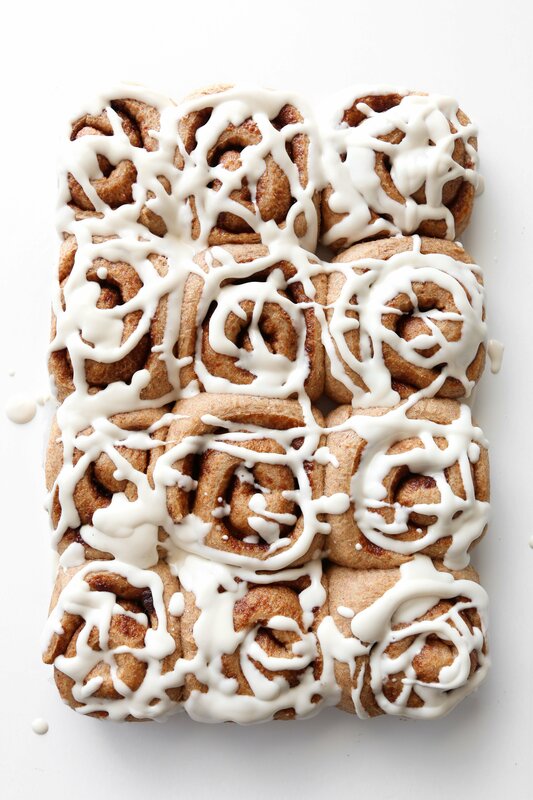 These are perfect because a lot of families make cinnamon rolls on Christmas morning! A vegan twist is not a bad idea. Thanks Jordan! I hope you have a wonderful weekend!